A little over one week after Apple investors urged the company to do more to protect children from smartphone addiction, a new column by The New York Times writer Farhad Manjoo has looked into potential ideas that Apple could implement in a future iOS update to curb addiction for all users, including kids. Manjoo spoke with Tristan Harris, former design ethicist for Google and owner of Time Well Spent -- an organization that works to improve technology's impact on society -- and Harris offered a few suggestions for ways Apple could help combat smartphone addiction. While Harris's ideas are not confirmations for features coming to iOS in 2018 and beyond, it is an interesting glimpse into potential solutions Apple might implement if it decides to tackle this issue down the line. To start, he suggested a way for Apple to offer feedback on the iOS devices that customers use, imagining a weekly report that would include the time spent within apps in a sort of ranking system. Users could then set prompts for future weeks that would pop up when their time spent in a specific app is reaching their set limit. Harris then focused on notifications, which have long been an area that iOS users have asked to be updated. The new idea was for more granular, "priority level" notifications that Apple would require to be placed on every app. Harris explained there would be three levels for "heavy users, regular users and lite, or Zen," and then Apple would have to pen the rules for which notifications would go to each level. So, for example, if someone chose the medium "regular" level, a DM from a friend on Instagram would appear on the lock screen. But at the same time, something less important -- like when Instagram sends out a reminder to view a friend's Story -- would be prevented from appearing. "And then Apple could say, by default, everyone is in the middle level — and instantly it could save a ton of users a ton of energy in dealing with this," Harris explained. If Apple implemented similar features, Manjoo pointed out that it could set a precedent for the industry as a whole. Every tech company needs a presence on the iPhone or iPad; this means that Apple can set the rules for everyone. With a single update to its operating system and its app store, Apple could curb some of the worst excesses in how apps monitor and notify you to keep you hooked (as it has done, for instance, by allowing ad blockers in its mobile devices). And because other smartphone makers tend to copy Apple’s best inventions, whatever it did to curb our dependence on our phones would be widely emulated. 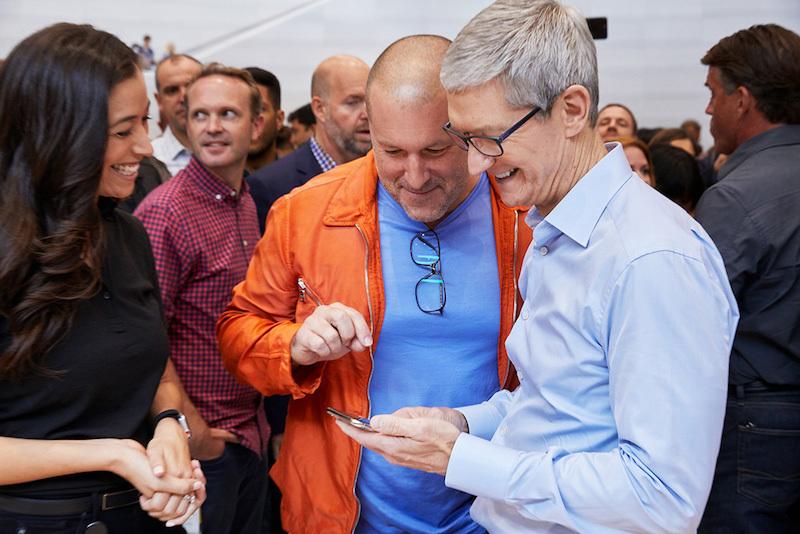 Following the investors' open letter last week, Apple stated that it thinks about its products' impact on users, and it takes this responsibility "very seriously." With a larger spotlight being shined on the issue, Harris said that now is Apple's "time to step up" and really get behind anti-addiction features for its devices. Harris went on to say that in regards to this problem, Apple "may be our only hope." It is a parent's job to monitor kids phone usage, not a corporation's. This is idiotic. First, everyone is responsible for themselves. It isn’t Apple’s job, in any way, to try to control how much people use their devices. Secondly, who cares if someone is on their phone “too much”? What’s it hurt? Nothing. Go away with this junk. Sometimes these people don’t think things through. What financial incentive would there be for Apple to help people use their product less? Folks this article isn’t just about parenting tools. It’s focused on the adult owners of iPhones and proposing a tool to help us monitor our own usage. Optionally. It’s a setting you can choose to activate. Or ignore as you choose. Edit: the article says it can be used for kids but the focus is on adults. And "Design Ethicist" is a job? LOL!! Here's what I don't really get... what science is backing this up? When has tech addiction ever been diagnosed? Is it bad for your health? If so, how does it negatively impact your health? This isn't based on anything. A little over one week after Apple investors urged the company to do more to protect children from smartphone addiction ('https://www.macrumors.com/2018/01/08/apple-urged-do-more-protect-children-from-phones/'), a new column by The New York Times ('https://www.nytimes.com/2018/01/17/technology/apple-addiction-iphone.html') writer Farhad Manjoo has looked into potential ideas that Apple could implement in a future iOS update to curb addiction for all users, including kids. Manjoo spoke with Tristan Harris ('http://www.tristanharris.com/'), former design ethicist for Google and owner of Time Well Spent ('http://www.timewellspent.io/') -- an organization that works to improve technology's impact on society -- and Harris offered a few suggestions for ways Apple could help combat smartphone addiction. While Harris's ideas are not confirmations for features coming to iOS in 2018 and beyond, it is an interesting glimpse into potential solutions Apple might implement if it decides to tackle this issue down the line. So, for example, if someone chose the medium "regular" level, a DM from a friend on Instagram would appear on the lock screen. But at the same time, something less important -- like when Instagram sends out a reminder to view a friend's Story -- would be prevented from appearing. "And then Apple could say, by default, everyone is in the middle level -- and instantly it could save a ton of users a ton of energy in dealing with this," Harris explained. Great suggestions. I’m all for it. This is a real problem that society and Apple should not ignore.